Shortlisted for Pride of Tameside Awards… again! Last October, in 2017, at Matthews Environmental Solutions we were honoured to be shortlisted for two prestigious Pride of Tameside Awards: Manufacturing & Engineering Business of the Year and Export Business of the Year. Then at the glamorous Awards Ceremony held early in October we were delighted to be awarded the title of Export Business of the Year. Now, after last year’s success we are once again thrilled to be shortlisted and this year it is not just for two awards… BUT THREE! Yes, to receive three shortlisted nominations is indeed a great honour, but in many respects it is not totally unexpected because 2018 has without doubt been a very successful period of our Tameside, Greater Manchester based business. Our worldwide reputation as leaders in waste incineration plant technology has been strengthened by a sustained export drive that has seen our waste incineration, pet cremation and human cremation plant sales increase dramatically. Not just here in the UK, but throughout Europe, the Middle East, Africa, the Far East, Australasia and the Americas. The power behind this international success undoubtedly lies with our growing global reputation as world-class waste incineration plant specialists. 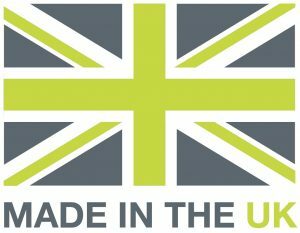 This is underwritten, however, by our unrivalled design capabilities, our outstanding ‘Made in the UK’ engineering skills, our ability to customise and to produce bespoke solutions that will match every requirement – no matter how involved or innovative these may be – plus of course our determined and unrelenting export efforts. This year’s Pride of Tameside Awards Ceremony will be held on Thursday 25th October at which the winners in each of the categories will be announced. We are under no illusions that we face extremely stiff opposition in each of the categories in which we have been shortlisted. We wish all our competitors the very best and whatever the outcome on the night of the awards ceremony – whether we are ultimately successful or not – we are delighted that our continued international success as one of the world’s leading waste incineration plant specialists has once again been recognised. If you are currently planning for new waste incineration, pet cremation or human cremation equipment, or if you are looking to upgrade your existing plant then you must speak to Matthews, the world’s leading waste incineration plant specialists, to discover how we can help you achieve all your objectives. You can call us on +44 (0)161 337 4488. You can also email us at: sales@matwuk.com or you can also send us an online message using the form that can be found on our Contact page.